This pretty pillow makes a wonderful gift for your bridesmaids, a birthday, or Mothers' Day. The front features sashing of Paisley embossed pink and plain white satin and a lovely white eyelet cotton backing. 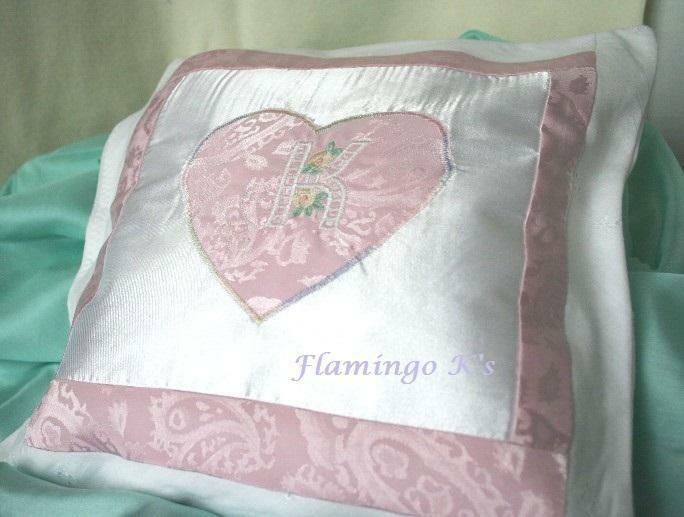 The heart is of the same pink satin and sewn on with variegated decorative stitching. We offer this pillow customized with one (1) letter of your choice in the center of the heart at no extra charge. Of course, if you prefer no monogram, that's okay, too. It's also available with or without lavender inside the polyester fiber-fill. We realize some folks are sensitive to fragrance, and if you would prefer no scent added, your pillow will arrive fragrance free. Just make a notation when ordering. 2. Whether you want the scent or not. **This pillow can be custom ordered at additional charge with other accent colors and/or another font as well. 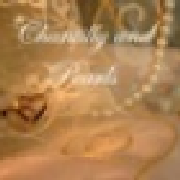 Other machine and Hand-embroidery designs are also available at a nominal additional charge. Contact me with your questions or ideas, and I'll be happy to email you images of designs on hand and give you a quote.